After studying Natural Sciences at Cambridge, Stephen taught for twenty years, working in primary and secondary schools across both the independent and state sectors. 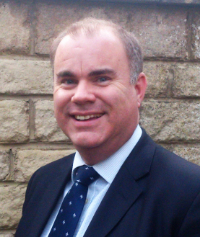 Previously a senior leader in schools, he is now self employed as an education consultant and property developer. Stephen has been married for twenty years and has twin fifteen year old daughters. In 2016, Stephen relocated to Bourton from South Wales. As a volunteer he has been Chair of Governors at various schools, a Churchwarden, Chair of the local Scout Association, and Deputy Chairman of his local Conservative Association. Co-opted in 2018, he chairs sits on the Community Services Committee, Community Centre and the Finance & General Purposes Committee. He is particularly impressed with the support that the Council provides for the young people of Bourton. Please click here to contact Cllr Senior by email.